Our range of products include chain saw machine. We offer very economic but sturdy Chain Saw Machi , We are offering an exceptionally reliable Petrol Chainsaw that has a well-balanced saw body. 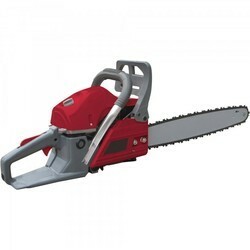 Owing to its new aerodynamic design built this Petrol Chainsaw is highly durable. Known for its excellent power-to-weight ratio featuring Strato Clean Technology, this Petrol Chainsaw is highly demanded in the market. This Petrol Chainsaw is equipped with a 16"/40 cm or 13"/33 cm bar and 40.1 cc engines. The Petrol Chainsaw side is acclaimed for its chain tensioning and adjustable oil pump. Why Stiga Petrol Chainsaw Manufactured from quality componentsPowerful executionEconomical priceDurableHigh strength.